If you're looking to get the most out of your Fitbit, our compendium of the ultimate tips, tricks, hacks and how-tos is exactly what you need. No matter which Fitbit you happen to rock on your wrist, understanding all its features can be a tough task. What's more, getting the most out of your fitness tracker can mean more chance of hitting your goals. To help Fitbit wearers out, we've put together the ultimate guide, helping you understand things like maximising battery, syncing with a smartphone and freshening up your workouts. 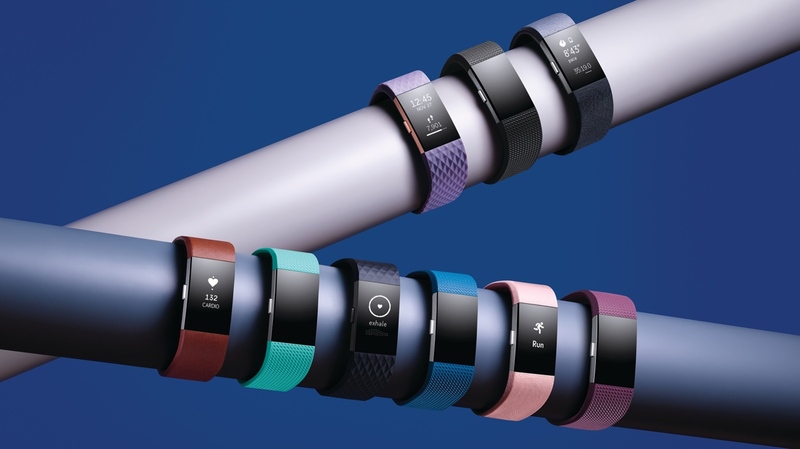 Essential reading: Which Fitbit tracker should I buy? So read on to discover everything from the basics to tidbits you may not have picked up, and be sure to check out our dedicated guides for an extended look. The Fitbit Ionic is the company's first fully-fledged smartwatch - apps and all. While it delivers notifications and supports third-party app with the Fitbit Gallery, the Ionic is still just as concerned with health and fitness, and the watch comes pre-loaded with a small handful of workouts that can be started with just a couple of button presses. But you can add more than what Fitbit gives you out of the box. Running, cycling, swimming, treadmill running, weights, workout and interval workouts all come pre-set, but you can add yoga, spinning, golf, pilates, circuit training and even kickboxing too - just note that you can only have a maximum of seven at one time. To do this, head into the Exercise Shortcuts menu on the app and tap 'Edit' to swap activities in and out as you please. For more tips on the device, check out our dedicated Fitbit Ionic essential tips and tricks. Despite its sleek form factor, the Fitbit Charge 2 can keep up with the best of them when it comes to fitness. Out of the box, the Charge 2 has set modes for running, weights, treadmill, bike, elliptical and interval sessions, but you can add a host of new activities through the web dashboard. Modes to track spinning, hiking, yoga and circuit training – among many more – are all not selected by default. Simply click on the cog icon, select Charge from the list and edit the Exercise Workouts section to add them in. And on the other end of the activity spectrum, the Charge 2 also possesses the ability to gently wake you with a vibrating alarm, as opposed to the usual loud wakeup call. To set this up, head to the accounts tab on the Fitbit app choose the Charge 2. Select Silent Alarms and set up the time. If you're a snoozer you can also get nine minutes of extra slumber by tapping the screen. For more tips on the device, check out our dedicated Charge 2 essential tips and tricks. The Fitbit Alta HR builds on the original Alta with the addition of a heart rate sensor (in case the HR hadn't given that away), while keeping the small and light profile that made the first so popular. It also has a very minimal interface, which means you can't manually start exercises from the Alta HR like you can with the Charge 2 or some other Fitbit devices. Instead, the Alta HR will automatically detect continuous movement and start tracking your exercise. Where you do have some more control is in heart rate zones, which can be tweaked in the app. Head into yor Account, scroll down to Heart Rate Zones and then add your own custom zones, setting your upper and lower limit. You can also input your own maximum heart rate if you're planning a more vigorous workout. For more tips on the device, check out our dedicated Alta HR essential tips and tricks. The Fitbit Alta lasts a surprisingly long time - about five days according to Fitbit, but seven to eight by our testing - but there are still ways to prolong usage. There's a maximum of eight alarms you can set, and each one you add reduces battery life by a small percentage. So less alarms, longer battery life. Turning off Quick View at night can also help you eke out a bit more battery, with a simple double tap waking the screen when you do so. And if you're looking to mix up strap to a more sporty variant or want a more stylish option for everyday use, the Alta is among the easiest to switch out. Doing so is simple. Just flip the Alta over, press on the latch and push out to release the tracker. Slide your choice of band into the same slot and it will snap into place. For more tips on the device, check out our dedicated Alta essential tips and tricks. Annoyingly, the Fitbit Blaze doesn't have GPS built-in. But that doesn't mean you can't track your running or cycling activity, with the GPS from your phone able to act as a makeshift. Firstly, make sure GPS and Bluetooth are enabled on your phone. Next, go to the Exercise screen on the Blaze and next to each tracked activity you'll see a small cog. Press it and you'll have the option to turn on the phone GPS support. And if you want to check your phone notifications during a workout, you can view things through multi-sport mode or during a FitStar workout. Simply press and hold the lower right button to view notifications. For checking in on the music controls, perform the same action but using the upper right button on the Blaze. For more tips on the device, check out our dedicated Blaze essential tips and tricks. As the only member of the Fitbit family that can track your activity in the pool, it's handy to know how exactly this works. Four swim strokes can be tracked with the Flex 2 - freestyle, breaststroke, backstroke and butterfly - with an overview of burnt calories displayed in a chart, as well as the amount of time you've swam, distance, pace and impact on your day. You'll also have to turn on the swim track feature before you hop in the pool. Fitbit says this is turned off by default to conserve battery life for those who don't swim regularly. And for when you're not doing your best Michael Phelps impression, you can set reminders more regularly in the app. Simply tap on the Fitbit Flex 2 icon twice to see 'Reminders to move' and adjust the hours per day and days of the week where you'll be reminded to reach your step goal. For more tips on the device, check out our dedicated Flex 2 essential tips and tricks. Before you take your new device out for a spin on the streets, you'll want to make sure its ready to accurately track your movement. This can be skewed depending on which wrist is donning the Fitbit Surge, with your dominant hand, for example, doing more of the work. To make sure your device understands where it's at, head to the Settings menu in the smartphone app, choose the hand you intend to wear the Surge on – and stick to it. And since we're on the topic of wearing the device correctly, make sure it's also properly positioned on your wrist. Fitbit says to measure a finger's width from the wrist bone. Also, don't strap it too tight, or it can affect circulation and HRM results. For more tips on the device, check out our dedicated Surge 2 essential tips and tricks.